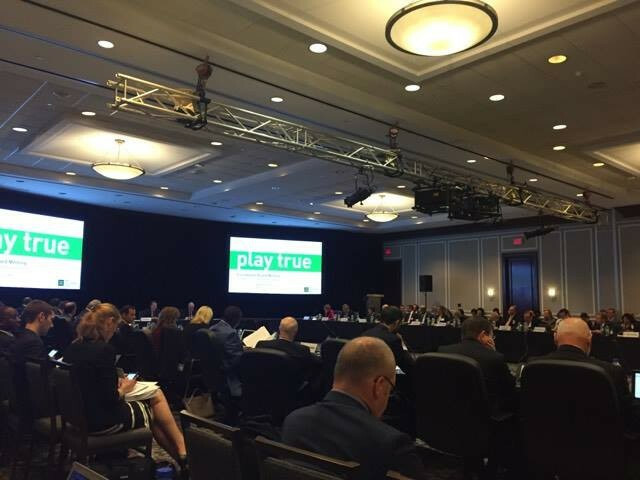 World Anti-Doping Agency (WADA) President Sir Craig Reedie reminded everyone of a milestone the organisation would rather forget during their Foundation Board meeting here yesterday. As the 76-year-old Scot pointed out, the gathering of the 38-member ruling body was held almost one year to the day after the now infamous New York Times article sent shockwaves through the sporting world. On Thursday, May 12, 2016, the extent of Russia's doping was savagely revealed in a piece fraught with lurid claims from the former head of the Moscow Laboratory. Grigory Rodchenkov’s words send a shiver down the spine even now. Mouse holes in the wall. Swapping clean urine for dirty urine. The three-drug cocktail. It painted a repellent picture of the extent Russia and its Sports Ministry were willing to go to achieve sporting glory and prompted many to question whether the country would ever be welcomed back. After all, this was a nation that was already buried deep in scandal following the first WADA Independent Commission report, published in November 2015, which detailed systemic and state-supported doping in Russian athletics. That led to WADA declaring the Russian Anti-Doping Agency (RUSADA) non-compliant. At the time, it was anyone’s guess as to how long their period of exile might be. Fast forward over 365 days from Rodchenkov’s revelations being unleashed into the public domain and WADA have left the door firmly open for RUSADA to return sooner than many thought possible. Sir Craig, who has presided over WADA during perhaps the most tumultuous period in the organisation’s history, has repeatedly declared that they “simply cannot have one of the world’s largest countries non-compliant”. He had continually expressed hope that they would rectify their profusion of problems. While hope was the message disseminated publicly in Russia and occasionally by WADA, privately concerns were persistent that they simply were not making enough progress. A reluctance back in Moscow to accept there was a problem at all only exacerbated the issue. No wonder eyebrows were raised when WADA deputy director general Rob Koehler delivered his update to the membership here yesterday. Koehler outlined how Russia had fulfilled some of their requirements and were well on their way to meeting others. In fact, RUSADA could be allowed to resume testing as early as June. This criteria includes ensuring there is an independent chairperson and installing a conflict of interest policy within the key RUSADA roles – a box which will be ticked when Yelena Isinbayeva is forced out of her position as chairperson at a crunch meeting on May 31. Koehler confirmed both of these demands had been accepted by RUSADA, while another of their strict regulations regarding access to Athlete Biological Passport (ABP) samples has already been met. Access is also now being given to doping control officers to previously “closed cities”, meaning Russia is on the road to addressing the four “immediate requirements” outlined by WADA needed for reinstatement. An integral cog in their recovery, which some might say is akin to coming from two sets down to win a tennis match while carrying a severe injury, is that the Russian Government have seemingly now got the message. Finally, after months and even years of denial and dismissal, they have come to realise acceptance and adherence is the only way out of this mess. In March, Russian President Vladimir Putin had admitted their anti-doping system had "failed" but still went on the defensive, waving away any suggestions of state-sponsored doping or an institutionalised conspiracy as Canadian lawyer Richard McLaren described when his damning report was published in December. It was the removal of Isinbayeva, the double Olympic pole vault champion and world record holder, as chairperson that grabbed the headlines yesterday. The 34-year-old was a controversial choice and WADA did not hide their disdain for her appointment, claiming it would only hamper Russia’s reinstatement efforts. While Sir Craig denied this was a pivotal reason for her impending dismissal, Koehler was not quite as reserved. “It played a factor for sure,” he told insidethegames. Isinbayeva herself was the elephant in the room at the meeting. If it were not for the timely questioning by founding WADA President Richard Pound, we may not have been given the full story. Koehler initially confirmed changes would be made at RUSADA, but stopped short of specifically naming Isinbayeva. He only clarified further when asked by Pound, who gave a comment or raised a point to practically every motion discussed. “Is this the person about whom everyone has complained?" asked Pound. “To be clear, as of the 31st of May, the person will be gone,” Koehler responded. She is still expected to play a role on the RUSADA Supervisory Board – WADA’s restrictions are limited to the positions of chair, President and vice-chair – and her continued involvement will hardly be greeted in celebratory fashion by those over at WADA’s Montréal headquarters. On the flip side, WADA demanded she be removed and, as Koheler so eloquently put it, she will be “gone” by the end of the month. A win is a win, as they say, even if Sir Craig does not see it that way. Despite WADA’s claims that RUSADA are on track for re-compliance, possibly as early as November, their potential reinstatement is likely to be met with more than a touch of acrimony among the wider sporting world. This, remember, is a country whose actions cost hundreds of athletes their chance at Olympic gold and whose methods beggar belief. Rodchenkov, who sought the sanctity of the United States after fleeing from Russia following his choice to turn whistleblower and lay bare the nation’s drug-fuelled corruption, may have disappeared but his disclosures have not. There will be plenty of athletes and officials alike who will never be able to forgive and forget and, even if the WADA Foundation Board votes in Russia’s favour in November should it come to that, the country still faces a battle of a different kind. They may regain compliance but they are a long way away from regaining public trust. Their emergence from the anti-doping wilderness could also lead to yet more criticism of WADA and Sir Craig, who was bullish when asked what his reaction will be if the response is as sceptical as he might fear. “I don’t want to be accused of being soft on Russia as I am not being soft on Russia at all,” he told insidethegames. “I have been saying to them this is the way the good people work and if you want to be part of the good world, get it to work that way. Both Sir Craig and Koehler warned, however, that there was much work to be done. Yesterday’s positivity means nothing if it does not yield the required results. Figures depicted in Koehler’s presentation tell their own story. In 2016, UK Anti-Doping (UKAD) issued 2,731 tests and 84 per cent of these - 2,300 - were collected. But a total of 2,344 more tests originally planned were cancelled due to the lack of available doping control officers. 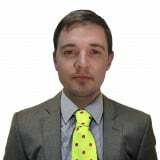 It is in this area where WADA, and indeed the world, will want to see a marked improvement before they are granted what would be a contentious return from their extended period in the dark. Other elements of the ongoing saga that still need to be cleared up include the McLaren Report, which was scarcely mentioned at the meeting save from an intervention from the room lambasting how long cases are taking to process. We still do not know exactly how many Russians will be sanctioned as a result of the Canadian’s findings and the International Federations are ploughing on with wading through the evidence provided to judge whether anti-doping rule violations can be brought against those involved. The International Olympic Committee (IOC), whose members demonstrated a rare showing of unity with their WADA counterparts during the Foundation Board meeting, albeit with a hint of usual opposition, are yet to disclose the results of two commissions which are conducting their own investigations into the shameful evidence. When asked whether WADA had been given any indication as to when these results might come, Sir Craig could not give a timeline, instead reiterating his calls for them to complete the work as “soon as possible”. It is a phrase he has found himself using all too much in the past year or so. Not acting quickly enough has been a constant criticism of WADA in recent times. They have been berated for a lack of urgency and for not making concrete decisions, with one Foundation Board member claiming there are some within the organisation who look to "slow things down and blunt any sharp edges". The same official told me there was far too much bureaucracy within WADA, that the organisation was too keen to establish working groups and were reticent to take firm action. They certainly subverted that particular notion yesterday. Setting out a clear timeline for RUSADA was met with praise and the anti-doping movement will pray that continues. If not, we could be having the exact same debate and deliberations a year from now, which WADA and Sir Craig in particular will be keen to avoid. The WADA President and the entire sporting world have grown weary with the Russian scandal. From their point of view, the sooner they can put this in the past and move on, the better.